Included here are all pictures of maritime accidents of one sort or another - fires, wrecks, strandings, collisions et al. These pictures are published for pleasure/information/research purposes only and are not for sale or copy under any circumstances. Information in captions has been researched as thoroughly as possible but its accuracy cannot be guaranteed. 1971 - 01/11 - January 11th - TEXACO CARIBBEAN (Panama) - IMO6506824 - Tanker - 13604GRT/20545DWT - 174.9 x 23.0 - 1965 Kieler Howalftswerke, Kiel, No.1139 - Texaco (Panama) Inc. - in the Dover Straits in thick fog collided with Peruvian freighter PARACAS (11912/43), exploded and sank, 8 dead, Terneuzen for Trinidad in ballast. 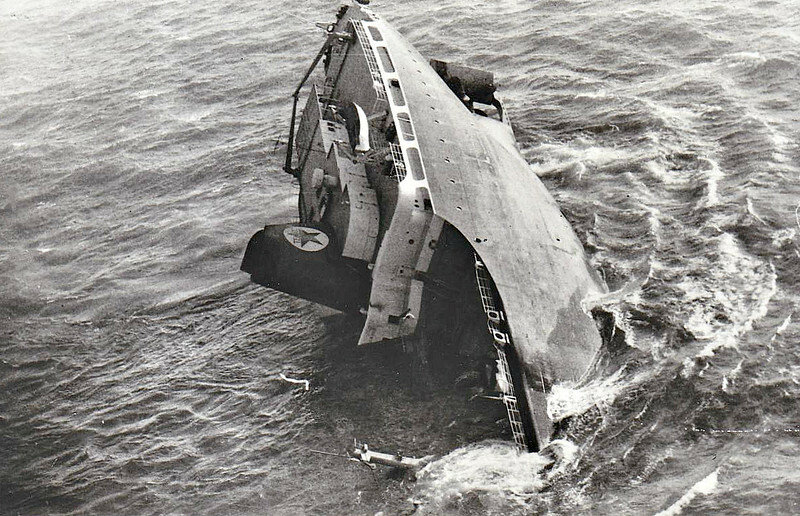 The wreck was hit on the next day by the German freighter BRANDENBURG, which sank with the loss of 24 crewmen and again on February 27th by the Greek freighter NIKI, whcu sank with all hands. This disaster lead to the establishment of the Dover Traffic Separation System (TSS) setting up a two lane system in the Straits, northbound traffic keeping to the French side whilst southbound traffic kept to the English side.